I’ve been slow about posting my Christmas cards this week; I’m trying to finish them up. 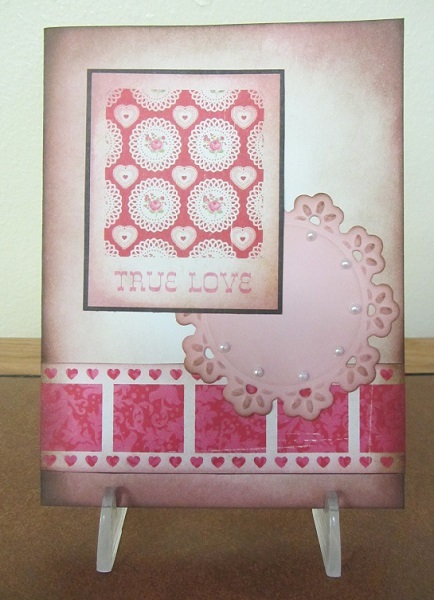 This card has a vintage look to it and I was inspired by a sketch at 365 Cards for Day 342. 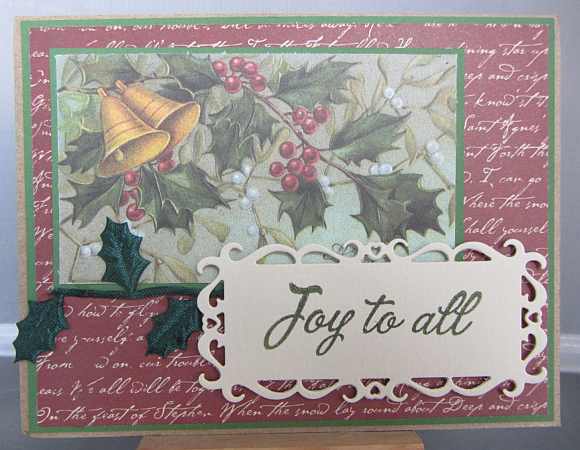 I really like the detail in the holly leaves on the May Arts trim–it adds a different texture to the card. I just cut some holly from a tree in the yard today, so I must be in a holly mood! Thanks for stopping by today. Giving Thanks… with a raccoon? I really like this stamp set from Lawn Fawn. I am pretty sure that this little creature is a raccoon, but it has a kind of skunk-like tail, so I can’t be absolutely sure! I had fun making this card and it is the only Thanksgiving card I made this year. It is perfect for the “Thankful” challenge at 365 Cards for Day 331. I haven’t played with sequins for a long time, so I had a good time with this card! Have a very happy Thanksgiving! 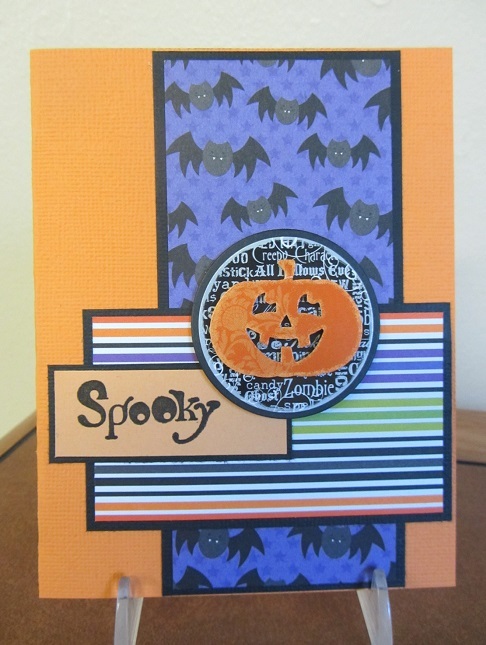 This card features four die cuts, in response to the challenge at 365 Cards this week for Day 329, to use at least three different die cuts on a card. This is another Valentine for my Operation Write Home collection that I’m putting together before the end of the year. 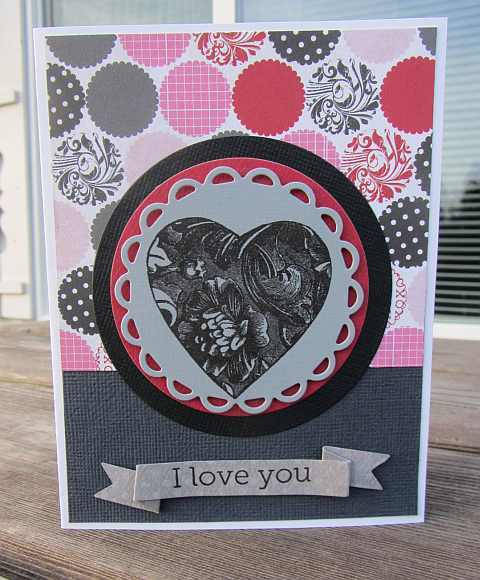 It was fun put together a design that repeats the circle motif with both the die cuts and the patterned paper. Thanks for stopping by. This is a very simple, kind of vintage-looking card for my Operation Write Home Valentine and Love box I’ll be sending off at the end of the year. The challenge for Day 318 over at 365 Cards was to make a card using the word Love. I applied Distress Inks to all of the elements of this card to “age” it a bit. The imagery all comes from the Echo Park paper. Thanks for visiting. 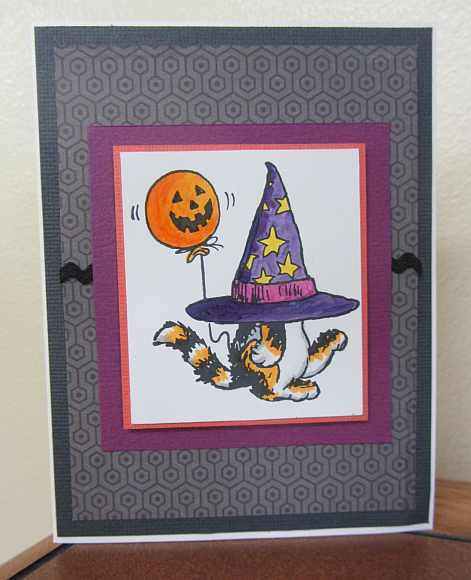 Here is just a simple card using the Day 293 Super Sketchy Sunday Sketch at 365 Cards. I used a very old sentiment stamp that I’ve had for a long time. Thanks for visiting today. Here we have a nice kitty, all dressed up for Halloween. It fits well with the challenge for Day 298 over at 365 Cards. After stamping the image, I colored it with Copic markers. Layers are in orange and purple and grey, oh MY. Quite Halloweeny! Thanks for visiting. I used the tarnished silver technique from Creative Chemistry 102 at Online Card Classes for this card. 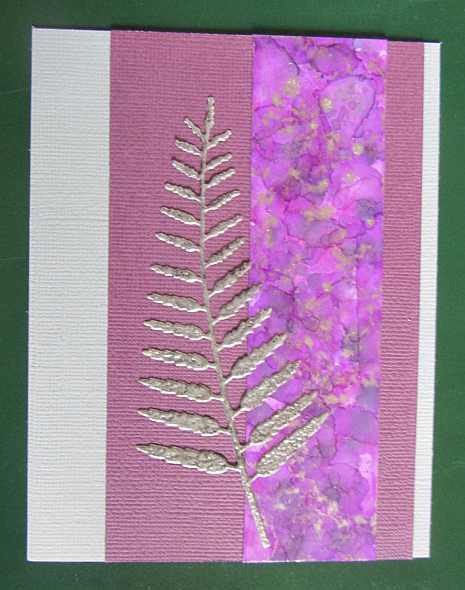 It features a cut made with the gorgeous fern die from Memory Box and an alcohol ink panel. I based the color scheme on my son’s request for me to make a predominately purple card for the 365cards Pick4Me color challenge. Thanks for visiting today.